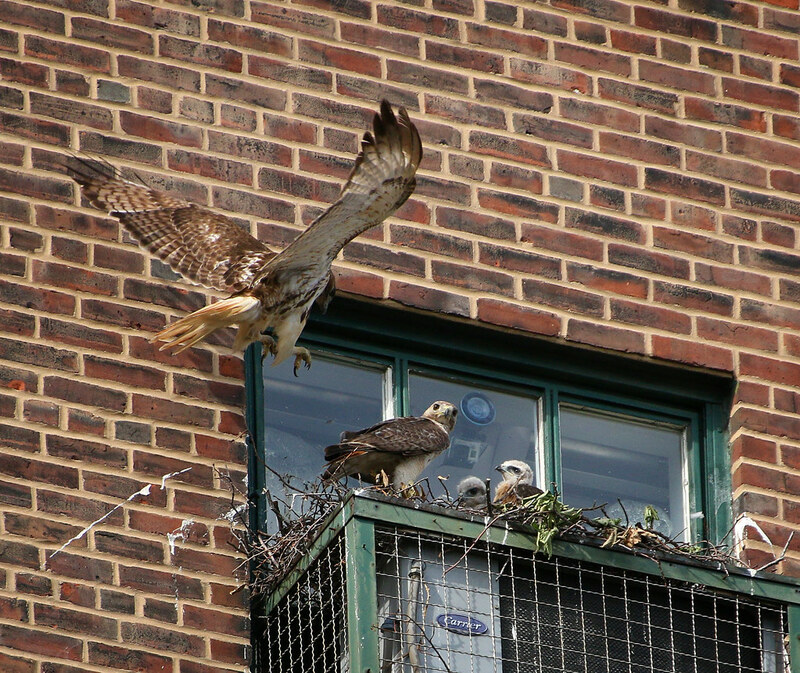 It's been just over a month since the Tompkins Square hawklings hatched and they're just a couple of weeks away from fledging. 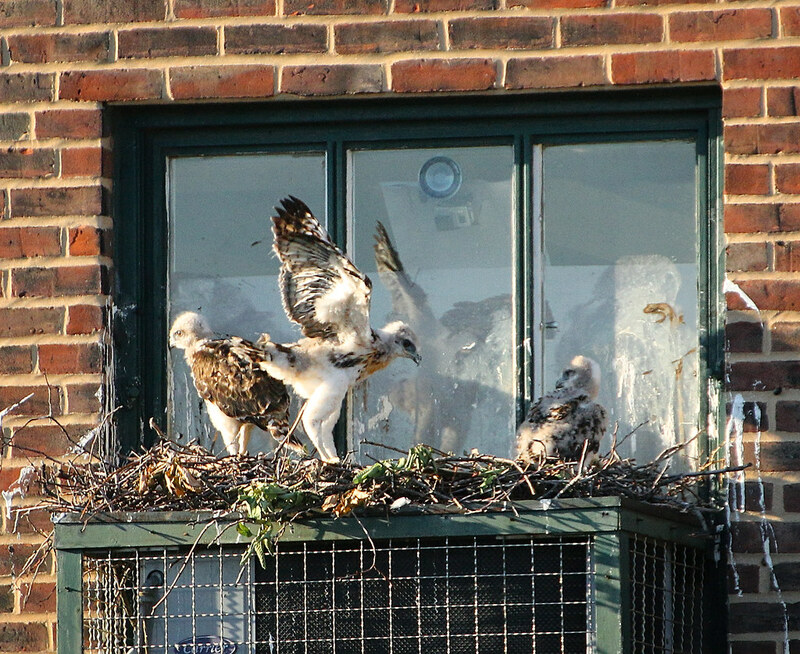 You can really see differences between the older two chicks and the youngest, who still has downy feathers (on the left). They've been taking turns flapping their wings and jumping up and down. One of the older ones (I'm guessing this is #1, but am not positive) is now eating on its own when previously, one of the parents would tear up the food first. That's Dora on the right, shading the other two siblings from the hot sun. 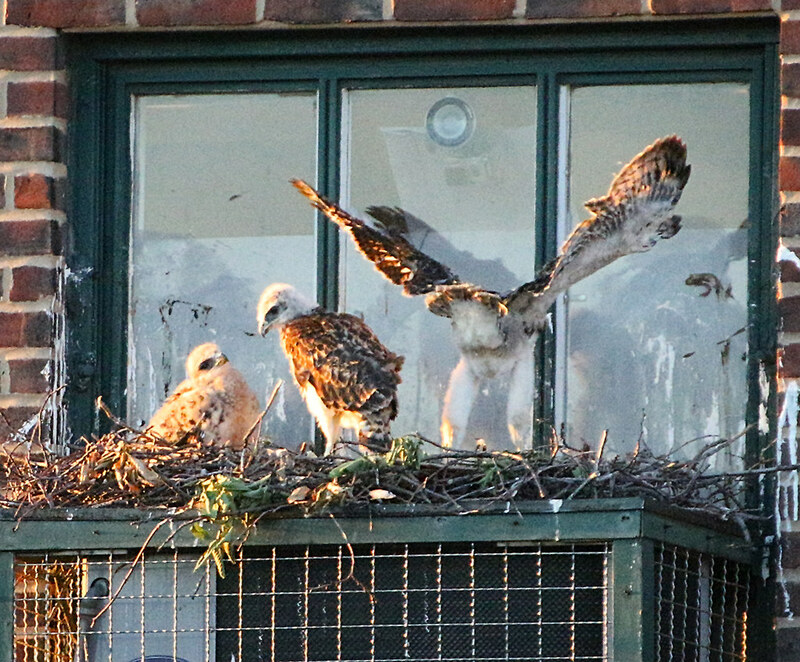 Mom and dad are still spending time at the nest, but have been leaving the chicks on their own longer as they get bigger. 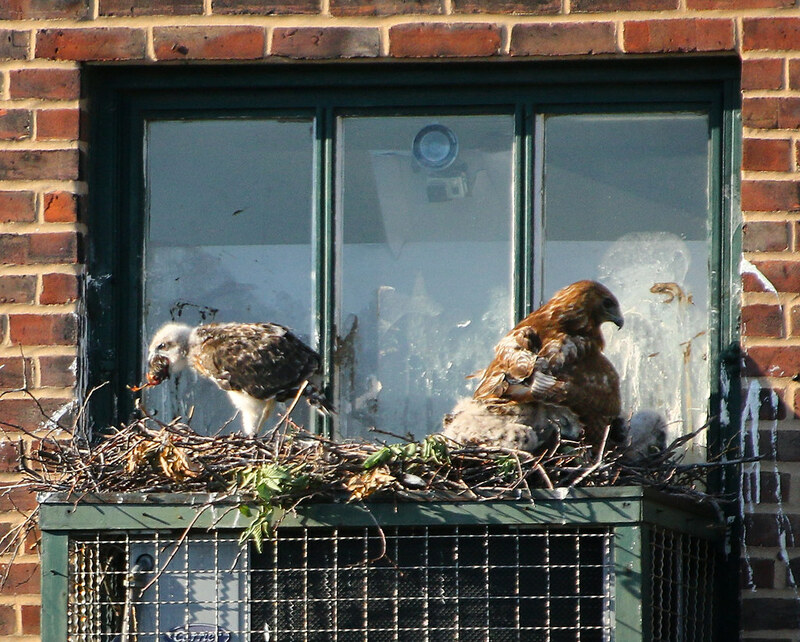 I watched poor Dora sit for hours up on the nest over the weekend shading the chicks from the heat. She's also been sheltering them during all the recent rain storms. 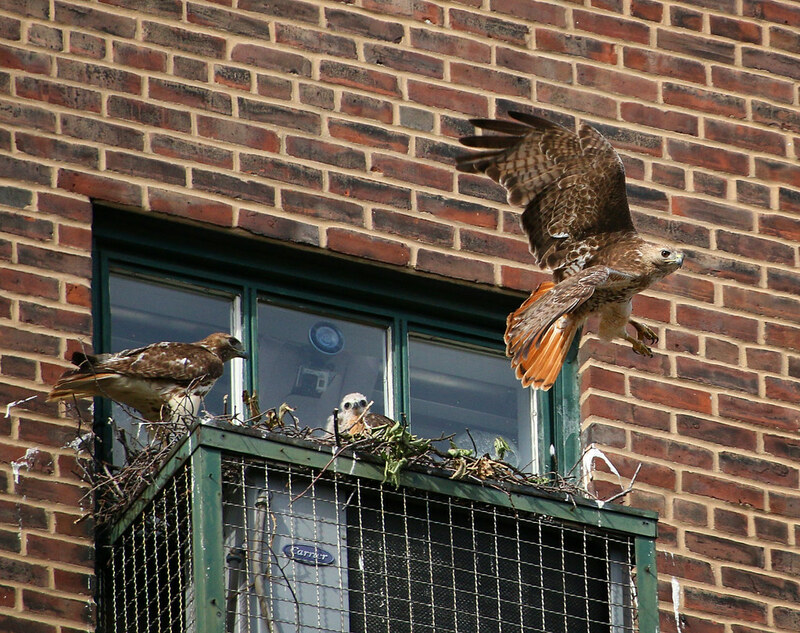 Christo flies in once in a while to drop off food, but doesn't seem to stay long. So exciting! 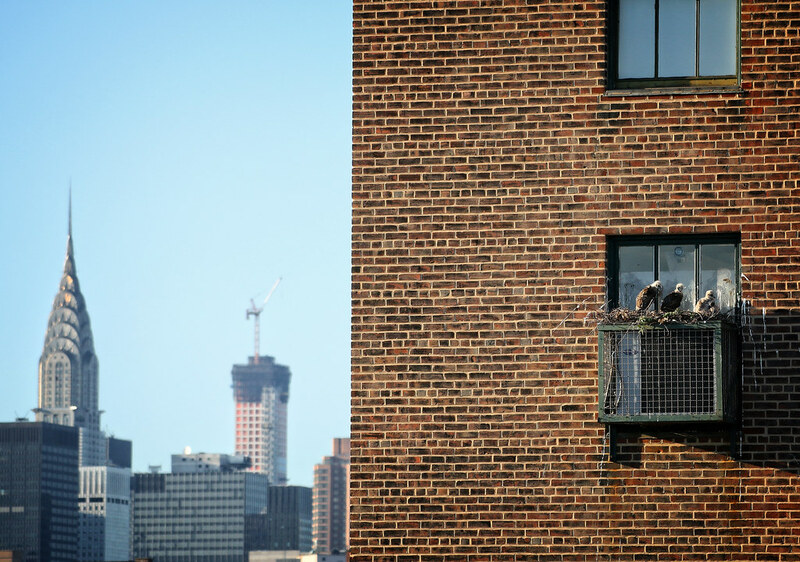 I've been following the WSP adventures & look forward to seeing these guys out & about.